Andrew has been involved in kinase research for three decades: initially as an academic scientist at the Ludwig Institute for Cancer Research (Melbourne Branch) and more recently on the “Dark Side”, as founder or co-founder of a dozen innovation-based companies in the drug discovery space. He has been a highly influential scientific author (h-index of 51) of 1 book, >100 peer reviewed publications, and >60 US patents and patent applications. 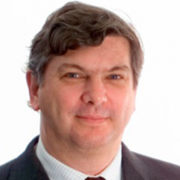 Andrew is currently CEO of SYNthesis Research and Anaxis Pharma and is a past and/or current board member of a number of Australian biotechnology companies. He currently serves on the scientific advisory board of a several Australian and overseas biotech companies and has been a proud member of the Return on Sciences Biotech Committee for more than seven years. Andrew holds an Adjunct/Honorary Professorship in the Department of Medicine, Nursing and Health Sciences at Monash University and is a Fellow in the Chemical Biology Lab at WEHI. He was elected to the Australian Academy of Technological Sciences and Engineering (ATSE) in 2007, and has won a number of significant awards, including being the inaugural winner of the Australian Biobusiness Award (2007), Johnson and Johnson Ausbiotech Industry Leadership Award (2016) and the ATSE Clunies-Ross Medal (2017) (Entrepreneur of the Year).